Want to be notified of new releases in godaddy/block-unit-test? 💥 WordPress → Download Block Unit Test on WordPress.org. Install the offical Gutenberg plugin. Note that Gutenberg is not suggested for use on production sites. You will find a new page added, titled "Block Unit Test". Each of the core Gutenberg blocks will be added here for you to start testing. Run the npm install command to install the plugin's dependencies within a /node_modules/ folder. If you find a 🐞 or an issue, create an issue. Please read the guidelines for contributing to the Block Unit Test. Anyone is welcome to contribute! 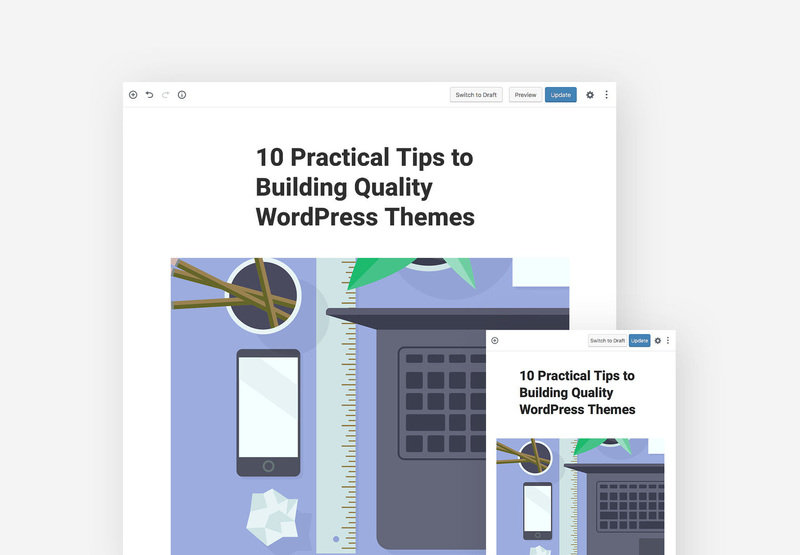 Want a Gutenberg-ready WordPress theme? Meet Tabor, a Gutenberg WordPress theme built for professional writers and content marketing. With full support for OptinMonster, Yoast, Schema and more, Tabor is the theme you need to grow your audience. With Tabor and Gutenberg, writing in WordPress is finally fun again.